This is my interpretation of the GDPR. Contact your own legal council if you need help with interpreting and implementing GDPR and data collection! 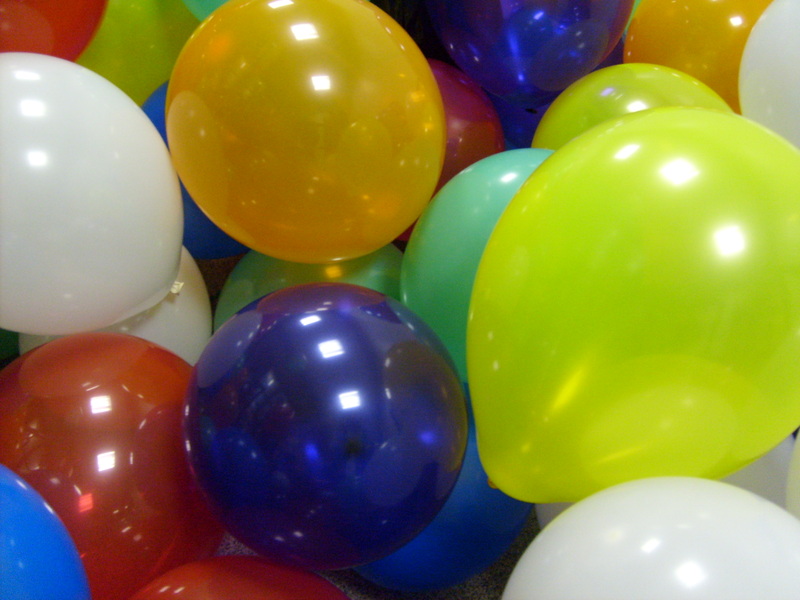 And here's a pic with happy balloons to lighten up the serious mood on this page! Pic by Complete fanatic [Public domain], from Wikimedia Commons. This web site is private. I have no interest in collecting your personal data. While the web server software logs web traffic data, it's not used except for trouble-shooting, should problems arise. Some articles have commenting enabled. If you choose to comment, you should be aware that some of your personal information, ie your e-mail and IP addresses are saved for authentication reasons. If you later change your mind, and want a comment and the accompanying data removed, please use the contact form to contact me and I'll see to that's it's deleted promptly. Access and error logs are rotated weekly and saved four weeks, after which point they are deleted. You cannot collect and store any personal data without having obtained, and being able to document that you obtained, consent from the persons you are collecting data from. You can, however, still collect and store personal data in your server logs for the limited and legitimate purpose of detecting and preventing fraud and unauthorized system access, and ensuring the security of your systems. For further information, please see the source links below. Cookies may be stored up to 30 days on your computer when you visit this site. You have the option to deny this of course. Some features may however not work as expected if you don't allow cookies. For example you may not be able to use the contact form. It's your choice to make and I respect that. The site comment policy can be easily described as be nice and be respectful. It doesn't have to be more difficult than that. Just remember this is my site, I get to decide who's not nice or respectful. Shout all you want, this is still my site, ergo my rules. Off-topic comments, spam and such are summarily dealt with as soon as I get alerted about them. This site is currently using the Disqus comment plugin with its own set of policies and rules - The Internet is watching.